As I was finishing veterinary school in Ames, my husband was happily employed by Des Moines Public Schools and not the least bit excited about a move. Finding a veterinary position near Ames has always been a challenging task for just this reason. Many students find themselves with spouses working in the area and have job searches limited by geography. After searching and searching, I quite randomly landed in Adel where I had a great-aunt living. Finding Adel Veterinary Clinic to begin my veterinary career was the gift of a lifetime. I vividly remember meeting Dr. Rohret (so tall!) for the first time and sitting in the vast waiting room with the clinic cat (Sophie for those who knew her!) literally suckling on my shirt collar! I hoped that would be a good sign, but I don’t think she was very picky! I am forever grateful for his mentoring in medicine, surgery, business and life. He continually worked to improve patient care, working conditions and gives back through local service groups as well as involvement in organized veterinary medicine. In talking with other classmates and colleagues it became clear that our clinic was special because we had a boss that cared about each of us and obviously about the clients and patients. His leadership is something I work each day to emulate. We spend many long hours together and if we can’t care for each other or find ways to have fun, the hours become unbearable. Life is short and my goal has always been to be a positive part of the day, for our patients, clients and team members. Most days, we succeed! Little did I know that I was starting my career where I now suspect I will retire. We all know that is pretty rare these days! My father is a dentist and worked his entire career in one clinic so I will admit, the idea already had appeal! My dad’s staff were family to us growing up and he, too, always emphasized providing a positive, supportive and rewarding workplace and being a part of the community. I am grateful for the amazing role models I have had. 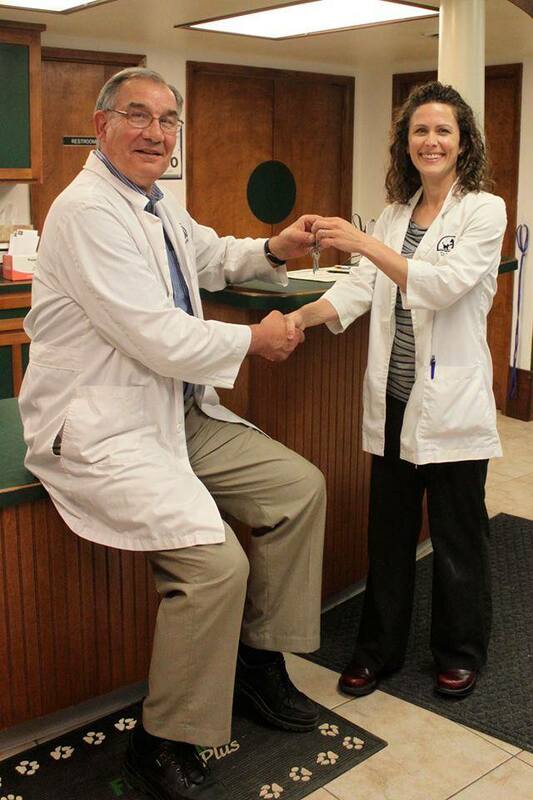 When I decided to purchase the clinic, I immediately came up with my initial 3-year plan. Year 3 and beyond- Invest in our team. That first year goal sounds pretty easy, but for a newbie to ownership, it held many challenges. I can now look back and laugh at the fact that I invested a large sum of money to work on getting online reviews and the first one to be posted (I was so excited receiving my first “YOU HAVE A NEW REVIEW” email) was a hideous 1-star review by the first client I fired for treating my staff poorly. Yikes! Welcome to small business ownership! I have grown (toughened?) in many ways and now that my second year goal is taking twice as long as I wanted, I realize that the most important characteristics of surviving business ownership are positivity, flexibility and grittiness (if thats a word!). I am proud to say that none of these were my strong suit at the onset, but I feel confident in them now and I see the same character traits in my amazing staff. I am ecstatic to be moving into the Year 3 goal and planning many more moving forward. 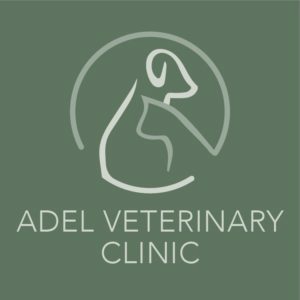 The team at Adel Veterinary Clinic is top notch and without a doubt our most valuable asset. Check them out on the “About Us”, “Our Team” tab. I plan to continue to share the story of my goodbye to Holden on this Blog, but wanted some fresh material for those that followed that journey on Facebook. Stay tuned for some fantastic before and afters of our clinic addition and remodel as well as staff spotlights and cool cases from the clinic. Thank you as always for your continued support. We believe passionately in the power of the human-animal bond and its ability to provide improved health and happiness in both the pet and human. We work each day to preserve this special bond and feel so very lucky to do so! I am so proud to be a part of Adel Veterinary Clinic!